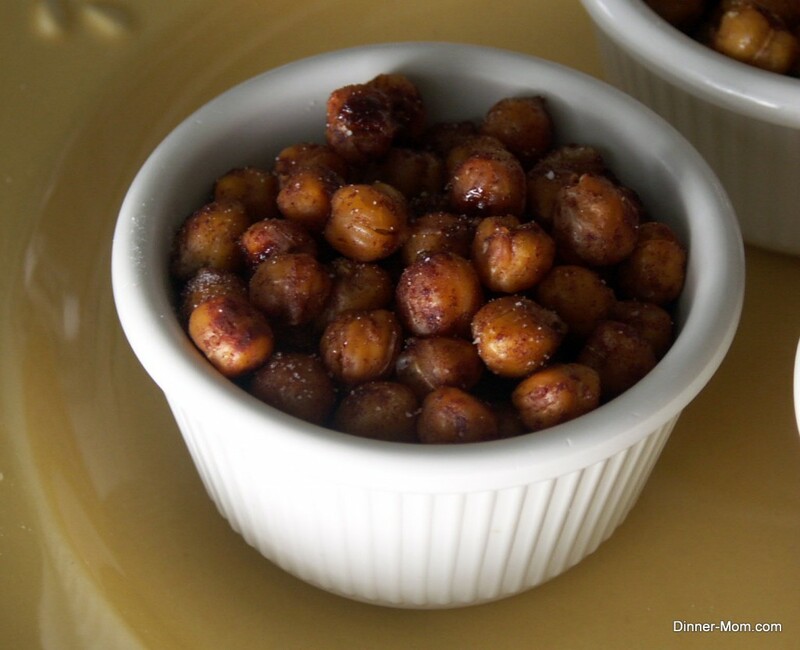 I’ve had an obsession with roasted chickpeas since I was introduced to the process in The South Beach Diet Cookbook by Dr. Arthur Agatston in 2004. After about 30 minutes in the oven and with practically no effort, the soft little garbanzo bean is transformed into a crispy, crunchy treat. Even as the seasoning craze exploded, I never felt the urge to participate…until now. But, it’s nice to have a healthy snack around when so many other temptations are in reach. And, by all accounts, chickpeas are a powerhouse food. One servicing (about 1/2 cup) boasts 5 grams of fiber and 6 grams of protein. Enjoy them au naturale…or with some heat. But, whatever you do, be careful. 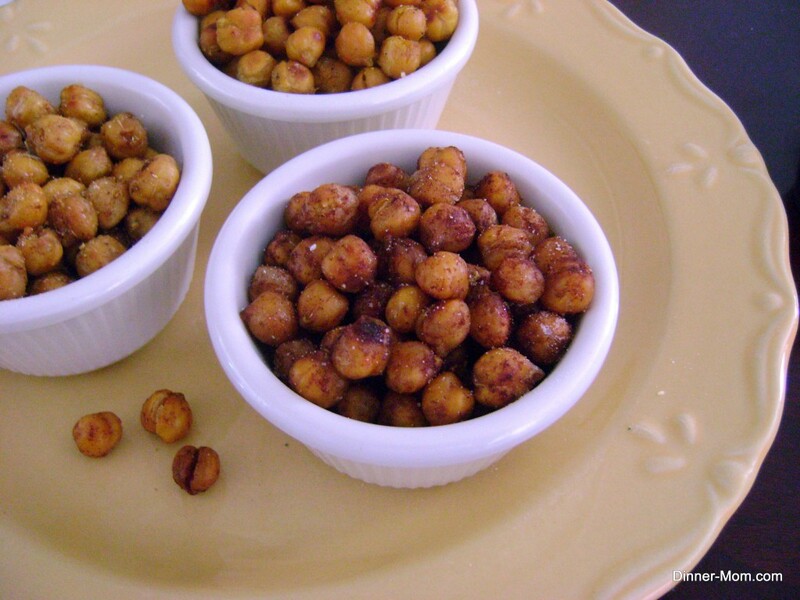 These roasted chickpeas are addictive. I have been experimenting with a number of seasoning mixtures. Pictured in front are screaming hot Cajun roasted chickpeas with a little sugar sprinkled on top. Don’t worry. You can tone down the heat. You can also follow along and leave the spices out entirely. Or, you can create your own spice mixture. A roasted chickpeas recipe always starts the same way. Rinse the beans in a colander and dry them with a paper towel. You have two options at this point and I have agonized for some time over the best way to proceed. Option 1 – You can cook the beans for about 20 minutes, combine the partially cooked beans with the spice mixture and then cook the beans a little more. The benefit to this strategy is that the beans will be nice and dry and the spice mixture will adhere very nicely. Option 2 – You can mix the beans into the spice mixture at the beginning of the process and save yourself a little bit of extra mess and work. Just make sure the beans are very dry. Normally, I am an option 2 type of gal. But, I really like the way the spices stick to the hot beans…so, that’s what I did. Roll the beans out on a baking sheet covered with aluminum foil. Check out the upper left hand corner of the pan. Some of the beans will have a little bit of skin start to pull away from the bean. Remove those from the pan if desired. Or leave them for a little character. Place pan in an oven heated to 400 degrees and cook for about 20-25 minutes. While the chickpeas are in the oven, make the Cajun spice mix. My favorite combination is included in the recipe instructions. However, a pre-made mixture, such as Emeril’s Essence Creole Seasoning, will work just fine. Mix about 1 teaspoon of spice mix with 1 Tablespoon of olive oil. Now, about the heat. I find that the cayenne pepper contributes the most heat. So, use a little less, if preferred. Toss the partially cooked chickpeas with the spice mixture and return them to the baking sheet. Bake for about 10 minutes more. The chick peas should “rattle” when you shake the pan…that means they are crispy and crunchy. Now, I realize this confession will relegate me to a light-weight in the eyes of some…but, I like to sprinkle just a little sugar (actually, I use a sugar substitute) over the top. Somehow this combination of super hot and sweet is very addictive. Eventually I don’t even notice the heat. 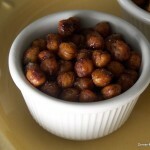 These roasted chickpeas won’t last long at our house! Chickpeas are roasted until crispy and crunchy in a spicy creole mixture. Sprinkle with sugar if desired. A delicious and healthy snack. 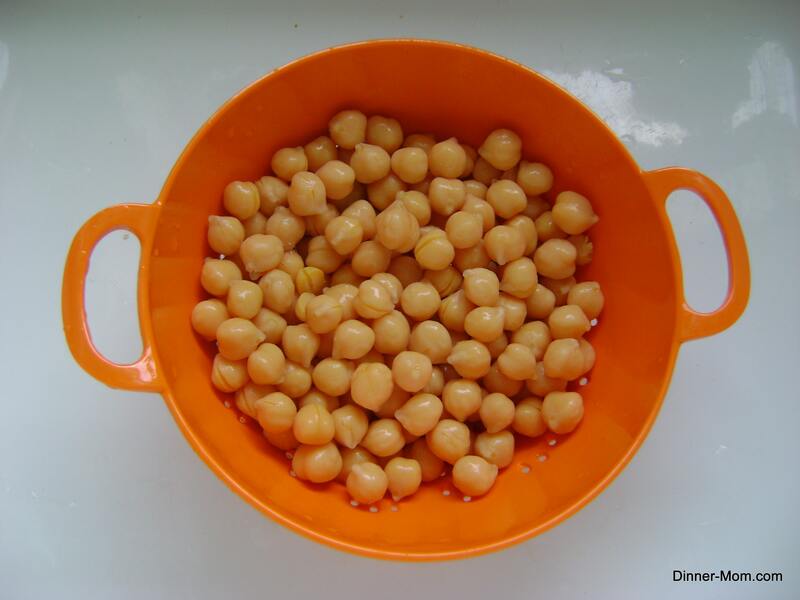 Rinse chick peas in a colander and pat dry. Place chick peas on a baking sheet covered in aluminum foil in a single layer. 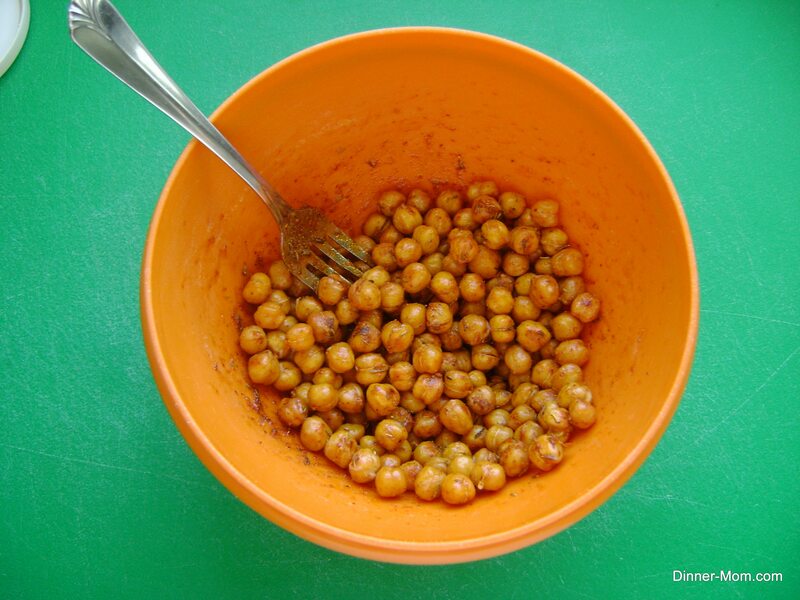 While chickpeas are baking, combine dry spices and olive oil in a small bowl. Remove chickpeas from oven and coat with spice mixture. Return chickpeas to oven and cook for 10 minutes more or until chickpeas "rattle" in pan. Remove from oven and sprinkle with sugar, if using. Best when eaten the same day. If you have any leftovers, store in air tight container for about 5 days at room temperature. Terrific topping on a salad too! Use appropriate sugar substitute or leave sugar out of recipe to keep it South Beach Diet Phase 1 compliant. OMG! These sound amazing! I found you on Pinterest and I’m so glad I did! Thanks for stopping by. These are one of my favorites too!